When we think of the moon, the word NASA immediately springs to mind, but nowadays it could just as well be Israel, the fourth country in the world to attempt this incredible feat! That is because a disabled electronics engineer from Israel, Yariv Bash was prepared to attempt the impossible. Together with two of his friends he was able to overcome all kinds of obstacles to build a spacecraft to reach the moon. Unfortunately, it crashed just before landing – but the project wasn’t a failure, just a setback. 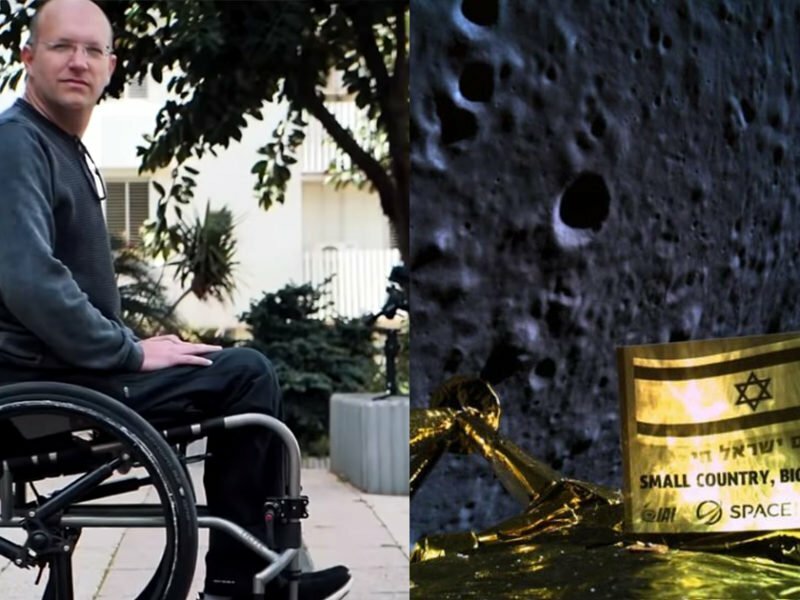 Yariv insists Israel will land on the moon and that he will walk again. Watch his inspiring story! According to the video below by Nuseir Yassin of Nas Daily, Yariv (39) had “the crazy idea” to journey to the moon and his two friends, Kfir Damari and Yonatan Winetraub believed they could help make it possible. Together, they worked on one of humanity’s hardest missions – to land on the moon. When people heard their idea, they laughed and told them it was impossible. However Yari and his friends never lost hope. 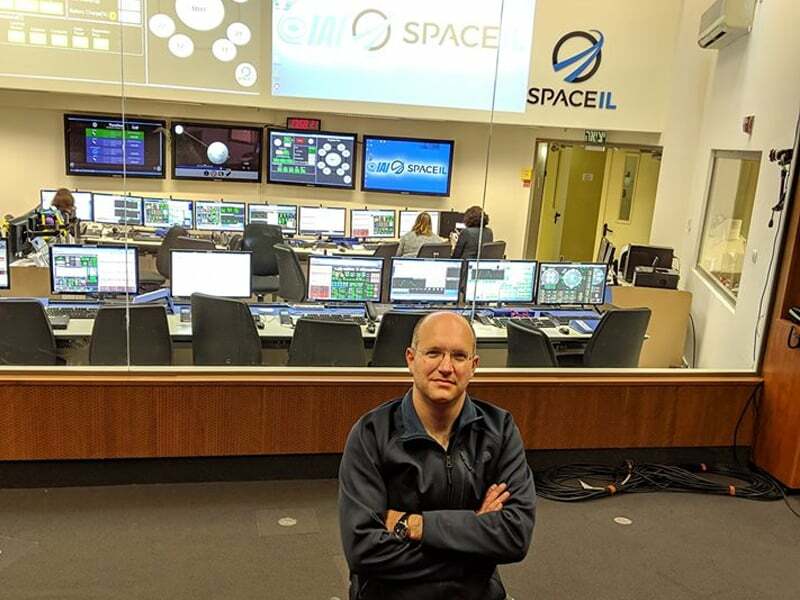 Through SpaceIL, the Israeli nonprofit behind the project, $100 million was raised in donations. That may sound like a fortune but in terms of rocket technology its the cheapest ever for a lunar spacecraft. With the money SpaceIL raised, the team used it not only to build a spacecraft but also to educate kids about space and science. Because their real mission was never just to land on the moon but to inspire kids to pursue science. 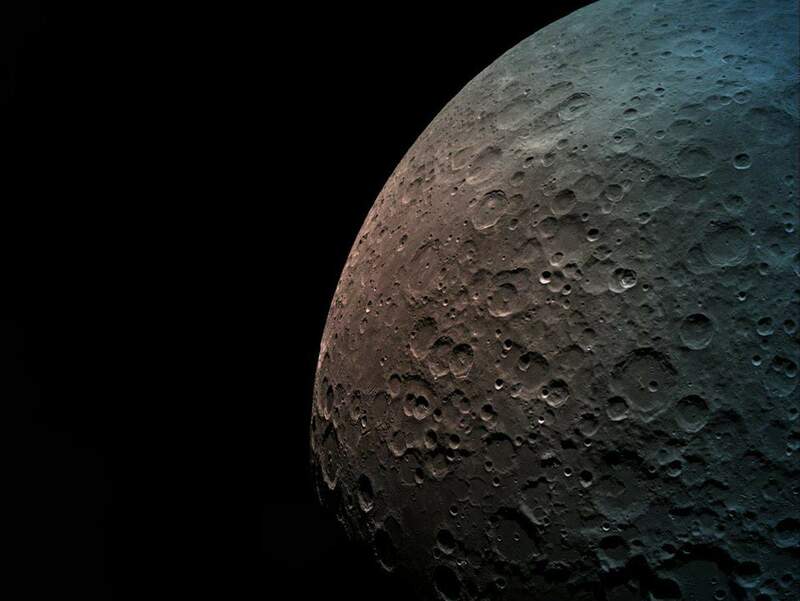 On April 11, 2019, the SpaceIL craft got very close to the moon. It took a historic selfie which was sent back to earth. However, unfortunately it crashed as it touched the moon. But this wasn’t a failure, just a setback in the same way that Yariv has learnt to overcome his disability. Two years ago, he was involved in a skiing accident, and was paralyzed from the waist down. The doctors said that he wouldn’t be able to walk for the rest of his life. The spacecraft SpaceIL built was named Beresheet in Hebrew (Genesis in English). Just like the first book of the Bible, a new beginning. Yariv’s journey to the moon is also a type of genesis. He’s almost reached his dream and he believes if he can do that, then surely his legs can be fixed. SpaceIL remains committed to put the Israeli flag on the moon! See: Israel Will Make Another Attempt at Landing on the Moon. Reference: Nas Daily Nas is a Palestinian-Israeli software engineer and Harvard graudate whose company makes viral videos that inspire.